For a correct walking we should give our footwear the importance it deserves. 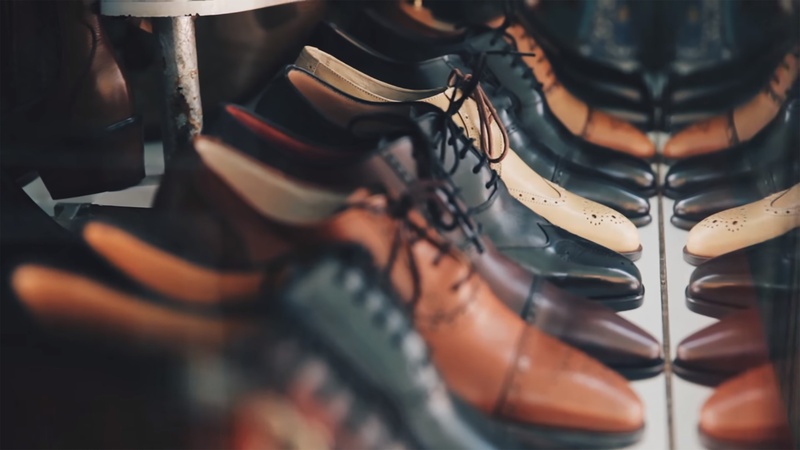 We have to understand shoes as a tool, and they must be made of quality material as the same time that its design has to be appropriate for our type of feet. This way, we will avoid injuries and pain. There are plenty of stores in Kerala (State) where you can find casual shoes for men or the best shoes for woman, as well as specialiced kids shoe stores. If you like high heels, your best option will be satin sandals wrapping up the ankles. There is not much more space for high heels this season. Kitten heels and rounded heels will take part of the best looks. Do not be shy and dare to wear them along socks and tights. Slip on shoes and flat sandals as well as suede sneakers will enhance your daily and comfortable looks. While leather boots and any other leather footwear will be a must even these warm seasons. There are some shoes that every man need to have in their wardrobe. For example smart longwings and casual loafers. At the same time formal chelsea boots and black oxfords are a must for events where a smart dress code is required. Casual boots and retro sneakers will improve day to day looks while espadrilles are a much better choice than sandals for warm seasons. At Infoisinfo we know how important it is to count with a quality material shoe for your type of foot and lifestyle. Either you are looking for very stylish boots, fancy high heels or a much more specific footwear for your sport activities such as football boots or track shoes, you will find the best provider in our list. We’ve written down contact details like websites, phone numbers and adress of the best shoe shops in Kerala (State). Along all this information you could have a look at comments and valuations from other clients. Friends Mall, 2nd Floor, 28/509/c5, Shornur Road. Thrissur. Thrissur. Leather goods, plastic & polythene , building, manufacture, footwear, footwear, safety shoes export, leather goods. 3c, Windsor Court, Ashirbhavan Lane, Kochi. Kochi. Ernakulam. Trade, fire blankets, life buoys, safety gloves, safety shoes, first aid boxes, light jackets. Door No.-12/25-a, Parppukara, Parappukkara. Irinjalakkuda. Thrissur. Eva footwear, t, manufacture and export. safety shoes and, u footwear and fancy chappals and sandles, finished leather trade. P.o. Box 5, F-3, Thulasi Apartments. Palakkad. Palakkad. Safety goggles, safety harness, safety gumboots, safety shoes, industrial, export, chain pulley blocks, safety gloves, safety helmets. 41/811 Kuttan Lane, Arrangath Cross Road, Pulleppady. Kochi. Ernakulam. Leather safety shoe, self adhesive tapes, hdpe tarpaulins, trade and distribute, packing material, footwear. Collage Road, Ernakulam District, Kothamangalam. Kothamangalam. Ernakulam. Manufacture, shirts, fleece, pants, sports wears -, shoes, boots, sweaters trade and distribute, sports wears - jackets. B-22, Landmark Behind Ksrtc Stand, South Bazar, Cannanore, Talap. Kannur. Kannur. Gloves, helmets, masks, safety shoes service, gloves, personal protection, manufacture, safety shoes distribute. C-12, Jaslu Centre, Kannur Road, West Hill, Kozhikode. Kozhikode. Kozhikode. Guest amenities for hotels like beach bags, shoe bags, laundry bags, newspaper bags, room slippers and other, manufacture and export. P.o. Veliyankode, Dist. Malappuram, Veliyancode. Perumpadappu. Malappuram. Distribute and trade and manufacture, safety shoes, ready made garments, key chins, leather wallets, mens shoes, fresh indian vegetables. Kannaneth Estate Building, Ring Road, Pathanamthitta. Pathanamthitta. Pathanamthitta. Safety items like safety, safety items like safety helmets, safety shoes, safety hand gloves distribute, safety jackets, trade. Ushas Building, Big Bazar. Kollam. Kollam. Distribute, rubber hawai footwear, samrat crockery, yera glassware, and many other glass companies manufacture and suply. Pace, Tirur Road, Down Hill Malappuram, Malappuram. Malappuram. Malappuram. Shoe soles, shoes upper for ladies & gents, footwear material, manufacture, shoes upper for ladies & gents suply, industrial. Srinivas Iyer Road, Thiruvarpu. Pallom. Kottayam. Suply and export, foot wears like ladies casual footwear, ladies printed leather footwear, mens footwear. Calicut Times Complex, Link Road. Kozhikode. Kozhikode. Premier gold, premier footwear, premier clocks, manufacture, premier magic cook, premier watches. Muthoot Crown Plaza, T.b Road, Thiruvarpu. Pallom. Kottayam. Manufacture, shoes, wallets, ladies footwear, slipper, gents footwear, sandal, ladies leather purses, belts, boutique for churidhar. T.c. 20/923, Lourde Nagar, Poat-anchery. Thrissur. Thrissur. Tyre flap, other industrial rubber mouldings, automobile, export and manufacture and suply, rubber mould for designer tiles, door mats. Shop No205, 2nd Floor, Obreon Mall, N.H Bye Pass , Edappally, Kochi, Kerala. Kochi. Ernakulam. Near Hotel Avenue Regent, Jos Junction, M.G Road, Ernakulam South, Kochi, Kerala. Kochi. Ernakulam. Ground Floor, Jama Plaza, Opposite To SMV High School, M.G.Road, Thiruvananthapuram, Kerala. Thiruvananthapuram. Thiruvananthapuram. Main Road, Opposite A. V. S. Charitable Hospital, Kottakkal, Malappuram, Kerala, Malappuram. Malappuram. Malappuram. V/ 184, A.B.C. Bovans Building, Opposite Muncipal Office, Angamaly, Kochi, Kerala. Kochi. Ernakulam. 17/50, 51, Mullappally Building, A . M. Road, Perumbavoor, Kochi, Kerala. Kochi. Ernakulam. M.M Shopping Complex, Kunnamkulam, Guruvayoor Road, Thrissur, Kerala, Chowwannur. Chowannur. Thrissur. Near Seematti, M. G Road, Kochi, Kerala. Kochi. Ernakulam.